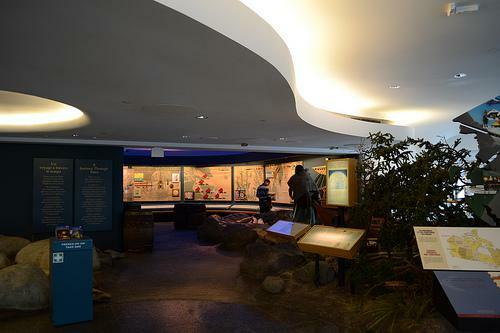 This museum presents the story of Canada's population beginning with Aboriginal migration across the Bering Strait through European settlement by the Vikings around 1000 CE, and the British and French in the 1500s. This museum presents the story of Canada's population beginning with Aboriginal migration across the Bering Strait through European settlement by the Vikings around 1000 CE, and the British and French in the 1500s. The museum is full of a variety of items ranging from full size Salish totem poles to the recreation of a small prairie town complete with grain elevator. The museum also includes an exhibit on Canada Post and a separate museum for children.